Outlet: Developed by Synchrony Financial in collaboration with Quartz creative services, the in-house branded content arm of Quartz. An August 2016 White Paper by Synchrony Financial in collaboration with Quartz creative services discusses Urbanization and the Consumer, as well as strategies for competing with growing E-commerce. Urban consumers strongly favor the in-store shopping experience—with an emphasis on the experience. 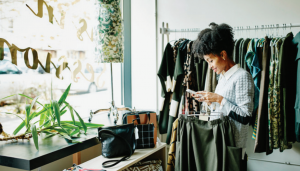 Eighteen percent of urban millennials expect to shop more in stores in the coming year than they did the last. When they do, they expect more than just a transaction. They want a unique experience that differentiates their spending and are willing to pay, on average, 31.6% more for it. These same strategies can be aimed at all ages and populations, and should be applied to Mall Retrofits in suburban settings where the decline of aging malls continues to drive down surrounding property values.